Barbour Boxley Scarf in grey or navy. The Barbour Boxley is a graded herringbone pattern scarf. The pattern fades from dark to light on an ultra-sophisticated woollen scarf with a hint of cashmere for extra softness. 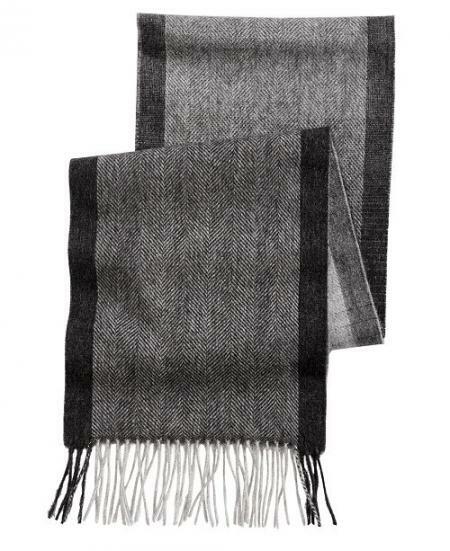 The Boxley scarf is available in either grey or navy. Make your choice of colour using the pull down menu below.